Make DIY bead earrings that will show off your beading skills, from peyote stitch earrings to brick stitch earrings, and everywhere in between! Looking for a new pair of homemade beaded earrings that will drop jaws and make all of your friends jealous? 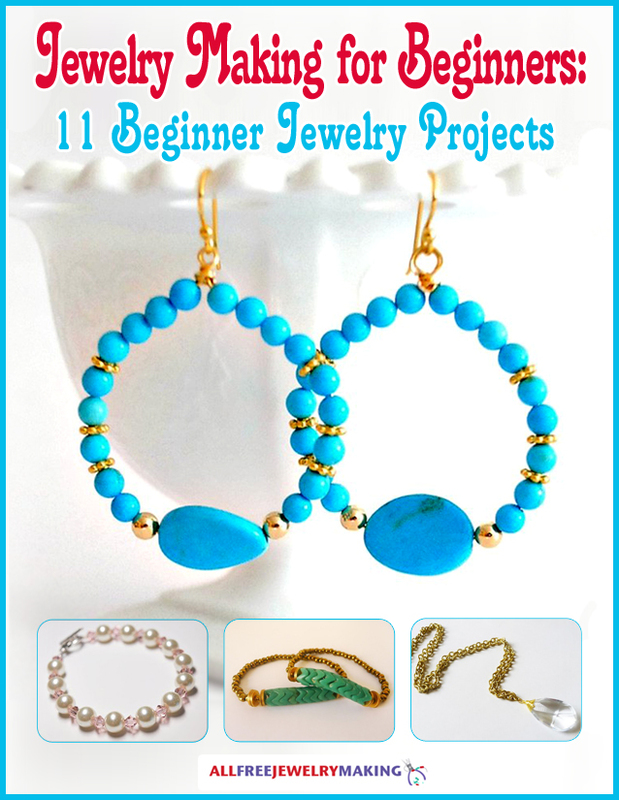 You’re in the right place with our collection How to Make Beaded Earrings: 16 Beautiful Beaded Earring Patterns. Most beaders practice their stitches on beaded bracelet patterns or intricate stitched necklaces, but DIY beaded earrings are another great way to try out your bead weaving skills. If you’ve ever wanted to learn how to make beaded earrings, you’re sure to find a lovely pair to spark your creativity in this list. From peyote stitch earrings to brick stitch earrings, simple bead stitching to beautiful bead weaving, this collection has it all. There is just something about a pair of beaded earrings that radiates elegance and sophistication. Plus, you’ll have the satisfaction of knowing your envy-inducing earrings are handcrafted. There is no need to settle for boring, store-bought earrings when homemade beaded earrings like these are within reach. Diamonds may be a girl’s best friend, but we have it on good authority that this pair of diamond-shaped earrings is about to become your ears’ best friend. Plus, these easy beaded earrings are perfect for beginners. Your inner goddess is struggling to come out, and these gorgeous Chan Luu-inspired earrings will show the world she’s arrived. It doesn’t hurt that these earrings are way more budget-friendly than the designer original. Hey, no one ever said earrings have to stick to one color! Add a pretty pop of color to your earring collection with this pair of DIY beaded earrings, which just happens to be a great way to practice brick stitch. We were happy to leave behind a few ideas in the 20th century, like typewriters and the struggle of navigating with paper maps, but Art Deco styles are worth reviving in this millennium. There’s no reason to be jealous of the girl with the most enviable earrings, when you can become the girl with the most enviable earrings. It is easier than you would think! Most beaders have tried their hand at peyote stitch, but have you ever used peyote stitch to make earrings? These gorgeous, golden earrings are a luxurious twist on the beloved stitch. Caution: you may get a bit dizzy following the twists and turns of these sensational spiral earrings! This Russian beading technique is the perfect challenge for an intermediate beader. These colorful, dangly earrings are a fun way to spice up a tired outfit. This bold earring pattern was inspired by the rich history of beading within Native American culture. Take a dreamy journey up to Cloud 9 with this heavenly earring pattern. Creamy pearls and seed beads are stitched together to create an incredibly elegant piece of jewelry. Embrace your inner princess with these regal stitched earrings. Purple might be the color of royalty, but that doesn’t mean you have to be a duchess to rock these beauties. You don't need to be named Bethany to appreciate the beauty of these sleek beaded earrings! Everyone will want to know where you got your exquisite beaded earrings from, and just imagine how fabulous it will be to tell everyone about how you made them yourself. Not to be overly dramatic, but these earrings are so stunning you might just find yourself crying over them. Get ready to bead it and weep! Tears of joy, of course. Elegance and whimsy make a perfect pair with these quirky, delicate hoop earrings. Intermediate beaders will love this unique pattern to practice their stitching skills. Brush up on your brick stitch skills! These lovely earrings have an effect that will look like stained glass windows dangling off your ears. Plus, you can upcycle an old pair of hoops to use in this pattern. Have a few leftover SuperDuo beads in your stash? Use them to create earrings that will make a subtle statement whenever you wear them. Plus, the neutral colors of these earrings mean they will match pretty much anything you wear. Every day could use a little touch of magic, which is why you'll want to wear these magical earrings all the time! This unique beading motif looks like a lovely little dragonfly in the classy drop earrings. What is your favorite stitch to use when you make beaded earrings? These earrings are SO pretty! I love the Arabella DIY Earrings. Have you heard the song Arabella by Arctic Monkeys? It's a good one.